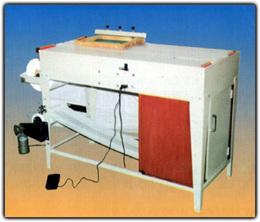 Characteristics: the adjustment and printing is made manually and rewinds with the motor 12 prints per minute, in one sole color. Guarantee: One (1) year against manufacturing defects. Freight paid by the Buyer .